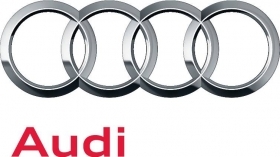 Audi is aggressively expanding its lineup in China to exploit growing demand among newly prosperous young Chinese for crossovers and compact luxury vehicles. Despite a recent slowdown of industry sales in China -- and tough price competition in the luxury segment -- Audi's global sales chief, Peter Schwarzenbauer, says he is sticking with his plan to double production capacity in China to 700,000 units by 2015. To sell all those vehicles, he also plans to expand Audi's dealer network from 237 stores in 2011 to 300 by year end and to 400 in 2013. About half of those new stores will be in Tier 1 cities along the coast. The rest will be in newly prosperous inland cities. "In China, there are 300 cities with more than a million residents and we are present in only 187 cities," Schwarzenbauer says. "So we are still scratching the surface." By 2015, Schwarzenbauer expects China to overtake the United States as the world's largest premium market. Audi is China's largest luxury brand on the strength of its long-wheelbase A4 and A6 models. But the company's product mix is starting to shift now that compact vehicles are becoming a hot growth segment in China's luxury market. To exploit this trend, Audi is building an assembly plant in Foshan to produce the A3. That plant will open in 2013. "We are convinced that the compact segment will be extremely big," Schwarzenbauer says. "It will be mostly younger buyers, and mostly entrepreneurs and well-paid employees. The Chinese luxury market is becoming more like North America and Europe." Audi also is shifting its marketing message in China to performance, as more Audi owners drive their own vehicles to work. About 70 percent of Audi owners drive their vehicles, while 30 percent are chauffeured. Audi, Mercedes and BMW have aimed their stretched luxury sedans at car buyers who like to be chauffeured. But now, luxury owners are getting more interested in Audi's high-performance S and RS models, Schwarzenbauer says. At the Beijing auto show, Audi catered to performance-minded consumers by showcasing the Audi RS Q3. "We are starting to hear from consumers who are asking about our S and RS models," Schwarzenbauer says. "We are looking into this. We could come in with more RS versions in the future."